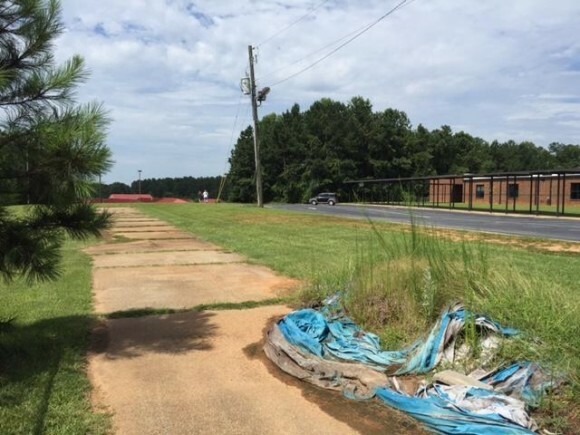 A sidewalk and parking lot are shown at one of the GNETS programs in Fayette County. The Department of Justice said some programs are in “poor-quality” buildings, and the programs are illegally segregating children from their peers. Story aired nationally on NPR’s Morning Edition, August 10, 2015. This entry was posted on Sunday, February 7th, 2016 at 5:13 pm. It is filed under News, Radio. You can follow any responses to this entry through the RSS 2.0 feed.